I’ve often thought about machinima as fan art – but I’ve never felt completely comfortable with it. I’ve always felt like machinima in itself – was an artform in it’s own right. But then there are such lucious films like this. Which clearly is fan based, but a voyeuristic delight none the less! Speaking of fan art – I’ve started a little theory about why we’re not talking enough about this in Norway. We have no word for “fan” – seriously – if you can think of something do tell me – but I don’t think we have a word for ‘fan’. We have supporter – which is generally considered to be football fans. But it’s not even that – a football fan is a supporter, although I’m not sure that a WoW machinimator is a supporter of Blizzard. It’s baffled me for a while now and there’s definitely a cultural significance in being wordless on the subject. It’s interesting – and just a thought to share. Entertainment, Games, Technology – wOOt?! There’s been some interesting blogposts lately about the frustrations of what articles to put where, what to discuss where and what words describe what? 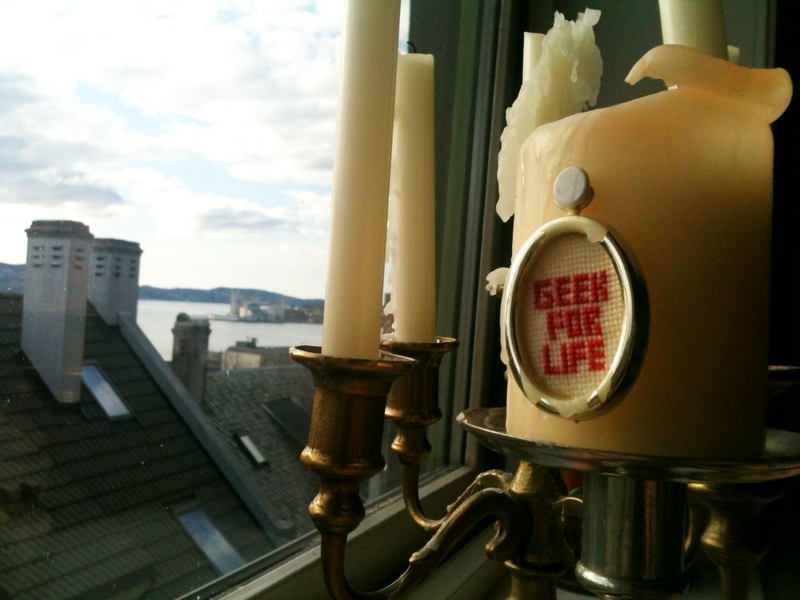 Aleks, at The Guardian Games Blog ponders on the acceptability to blog about social software in a games oriented blog. Second Life (which my puter stubbornly is denying me access to), MySpace, Flickr and del.icio.us all encompass play, as well – but is it right to discuss them in a games blog? I think I disagree. I think we’ve moved beyond this now – these places deserve their own spaces for discussion. But ofcourse, sometimes these social software sites produce games as well and sometimes people make some fascinating gaming observations of them, like “Digg-ing the game”! Which definitely deserves discussion in a games blog! I’m partial to ‘Virtual Life’ as a section. 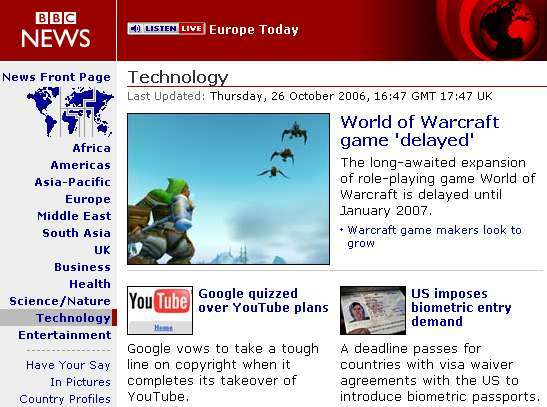 Some World of Warcraft news is pure gaming news, technology news and virtual life news – we shouldn’t have to think that just because World of Warcraft is a game, that all news from within has to be documented in a games section. And I certainly feel that there is room for another section of news with the title ‘Virtual Life’ – I’m sure most gamers who don’t play Second Life are extremely tired of all the Second Life news in their medium, and well…Second Life isn’t a game! BUT! If someone were to design a really cool game in Second Life – I’m sure they’d love to read about it! And as for the technology section, I’m sure the social impact new technology has had in MMORPGs is only interesting to a certain point, I think it’s time to move on! Unless you’re actually interested in ‘virtual life’! Sigh…am I making any sense? Oh how I hate proof reading!!! I despise it!!! The minute I start doing surgical insicions in text I loose the flow and the impulse to start all over again is just …. ahhhhhh!!!! Will I ever start writing sanely again!!! Anyways! I’ve realized a bunch of mistakes lately! Apart from the academic stupidities I’ve also noticed that I switch from writing American to British and back all the time! But I should be able to catch most of it with spellcheck, right? Speaking of which, it now lets me write game play as one word! Is that allowed, you think? I’ll have to check up on other texts – but I rather like gameplay! And I’ve also noticed that I’m all over the place using the words ‘gamers’ and ‘players’ randomly. I should decide on a destinction,huh? Use players when referring to so and so, and gamers when refering to so and so? Sigh! I knew that this thesis would be all about definitions – but – argh! Maybe I can play miss smarty pants in the conclusion somewhere. “I’ve used the words player and gamer randomly here in order to illustrate a point”. Yeah! That’s sounding good to me right now! I’m sure I’ve got it all somewhere in my pile of notes somewhere! Jeez! The folks over at Guardian Games Blog are back full swing after the summer and with impeccable style!!! I just have to cut’n’paste their stuff here! Good pondering reliable Aleks has discussed with her friends and come up with a brilliant new word: Ludic Spray! I shout yay! for effort! But…I honestly have a hard time believing it’s not more complicated than that! Seems a bit too simple! Not that I mind simple, it just encompasses too much – and it becomes more like the dust bunnies I shove under the sofa, you know? Anyways…she had a great link in there to a Zimmerman interview, where he discusses definitions of game, play, narrative and well…the usual yoo ha – Klabbers’ people and Young’un Stavelin should find it interesting! Sigh! Too many interesting reads!!! Too little time in the day!!! Need to get back to work! This whole narratology vs ludology discussion is quite…well…ARGH! Just frustrating, I guess – and ofcourse this comes from the fact that we’re still trying to figure out the language of games. So I had a glance at my huge ‘to read’ pile the other day, upset because I keep maneuvering myself into tight suffocating corners that I can’t spread my wings and fly away from. But I guess that’s what writing a thesis is all about ey? Narrowing things down to the bare essentials and constantly contradicting oneself? Anyways! I pulled out some Gonzalo Frasca, which I had put aside because I naively thought I could escape the whole narratology vs ludology debate! He uses a Markku Eskelinen quote which I LOVE! You’ll be reading a bit more about this later on today or tomorrow! I’m at work right now and I don’t have my Jesper Juul or Espen Aarseth notes available! Hmmm….so why did I even bother writing this post? Well first off…you have to admit that quote is amusing, but probably because I’m in the middle of writing a job application to a really cool job, and didn’t want the first post they saw to be my emotional worship of the Sultan’s Elephant! He he! The dilemma’s of linking to your blog everywhere and at the same time trying to sell yourself as a sane desirable person! !